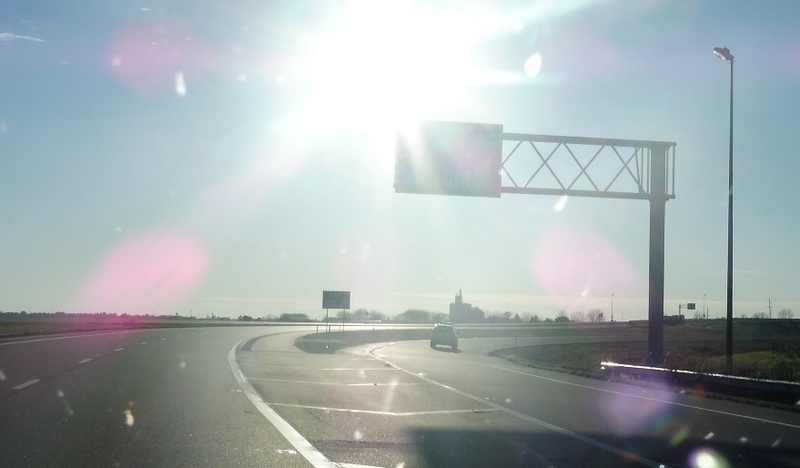 Reassurance shield after the 136 interchange. 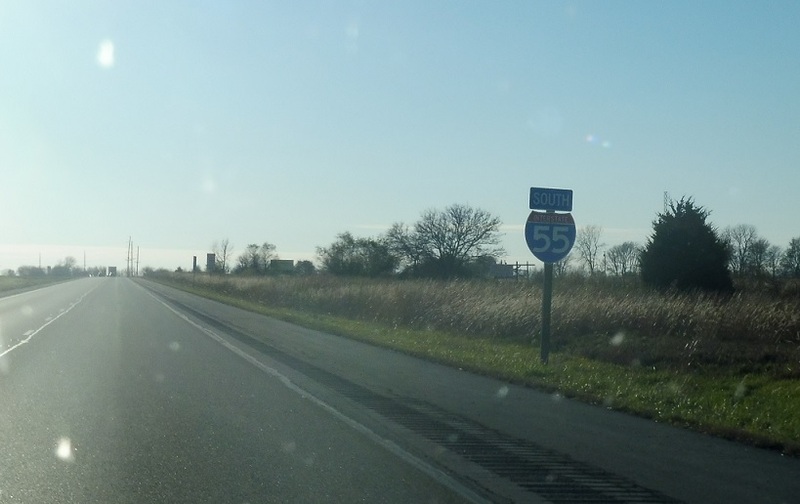 A few miles later we’ll approach the I-55 business loop for Lincoln. 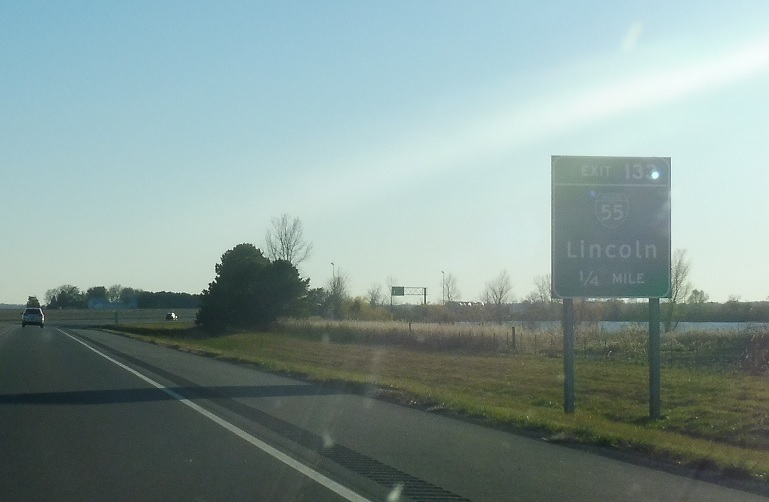 Exit for I-55 Business/Route 66 into Lincoln.